As the Conservancy enters our 25th year in 2019, we’re celebrating you and everything you make possible. Even though we face many challenges in our world, we also celebrate our accomplishments and the work ahead in the coming years, because it’s an opportunity for us all to shape the future of this region we love. It’s also an opportunity to invest in what we value most. And sometimes, it’s the small things. Our mission is to protect the working farms and forests, clean waters, and wildlife habitat of the Upper Delaware River region. But what does that really mean? 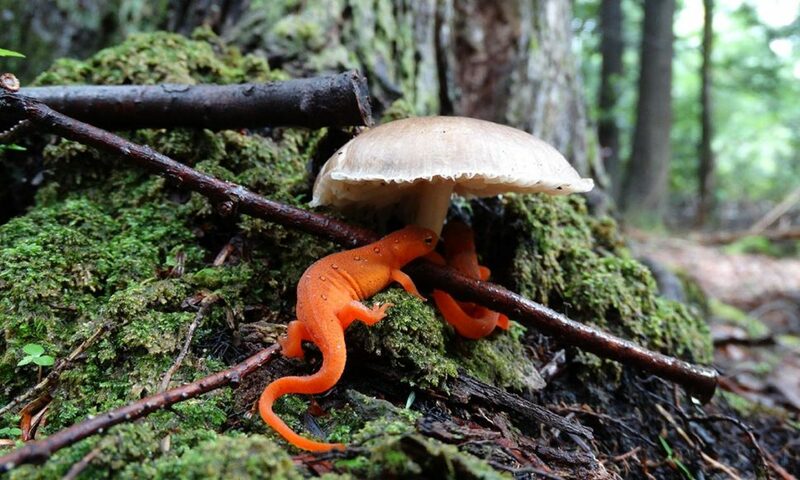 Did you go on rainy-day searches for salamanders in the woods when you were a kid? Can you remember how it felt to come in out of the rain, take off your coat and feel the warmth of your home? Imagine the little salamander at the top of this letter seeking shelter under that mushroom and feeling even a fraction of the peace and security that you felt. That’s a healthy forest. And that’s what you’re protecting. Your year-end gift to the Conservancy is an investment in small kindnesses. In places to feel safe—for a person or an eagle or a two-inch salamander. It’s an investment in places to breathe easy. To drink clean water. To spend your hard-earned money on locally grown food—and in so doing, to support a local family. Your gift protects special places in nature and in our communities today and for future generations. Please consider a special gift of $100 or more today. If $100 is not possible, please consider an amount that is more comfortable for you. No gift is too small to make a difference! Thank you for making the Upper Delaware River region a healthy, beautiful place to live. From all of us at the Delaware Highlands Conservancy, we wish you a wonderful holiday season and new year. Photo courtesy of Natasza Fontaine.